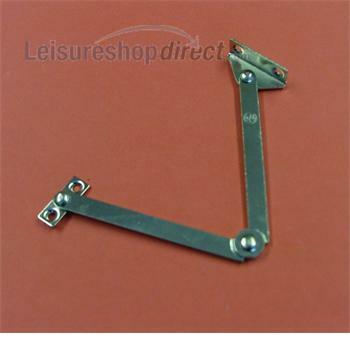 Because we believe in renewing, repurposing and revamping at Leisureshopdirect.com, you won't be surprised to know that we stock a huge range of the Caravan Spares you require for fixing the internal doors and cupboards in your caravan, campervan or motorhome. 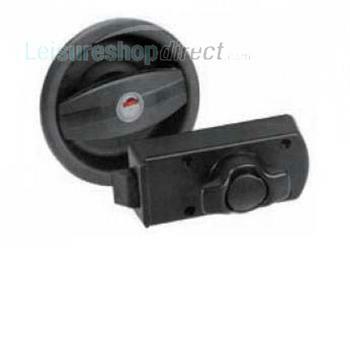 We all know that riding in the back of a motorhome isn't the quietest of activities, and caravans certainly aren't silent when they are being towed either... but there are limits to the rattles, clangs and irritating clicks that we are happy to put up with and dodgy door catches are some of the worst culprits! 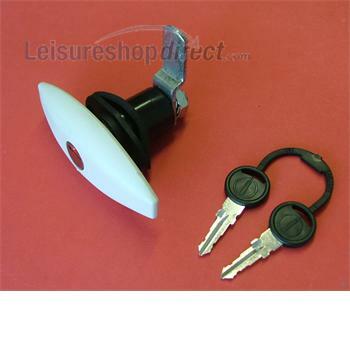 Of course, over time and through use, the stays on our caravan cupboards weaken too and can give up the ghost altogether and there's nothing more frustrating that reaching to the back of an overhead locker looking for that elusive item, when the locker door keeps dropping on your head. 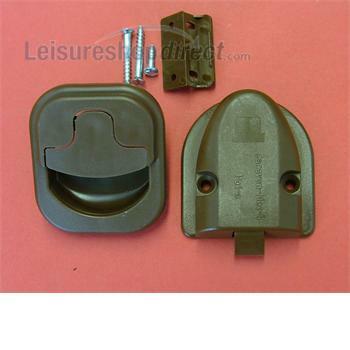 The full range of caravan door fittings and caravan cupboard fittings we stock on this website will support you in your campaigns against ill-fitting doors, dogdy hinges, loose cupboards and sticking locker doors. Of course, sometimes we just decide that we want a change and upgrading or refurbishing your 'van's kitchen or bathroom doesn't have to be an expensive project of completely removing doors; at Leisureshopdirect.com we stock a wide range of accessories and fittings for camper vans and parts for your caravan or motorhome to help you to achieve the cosmetic (as well as technical!) style you are looking for. 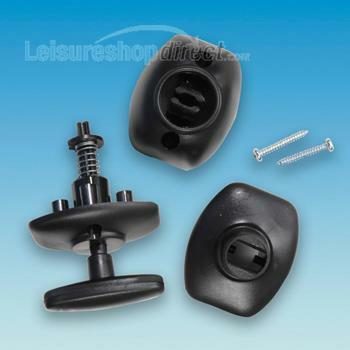 Simply changing the Knobs and Handles on the cupboards and door of your caravan or motorhome can give the 'van a very different feel. 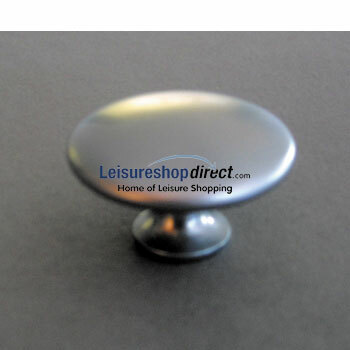 We stock a wide range of knobs and handles to help you achieve the effect you are looking for in your home-from-home. 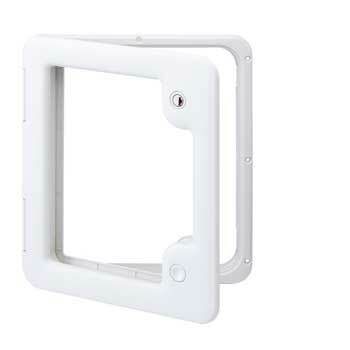 We stock a full range of Hinges in a range of designs and colour optoins so that you can match with your existing caravan door fittings. 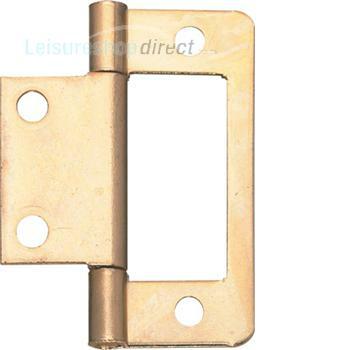 Our extensive range of caravan door locks will enable you to find reliable replacements for your external doors and fittings. There's nothing more irritating than a cupboard or locker that won't stay open (or closed for that matter!) 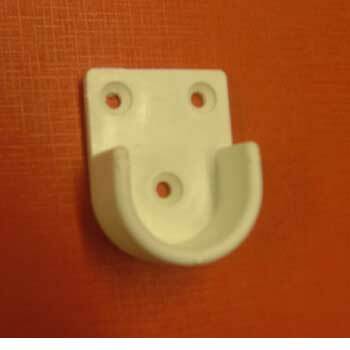 and so we stock a full range of Cupboard Stays in metal, plastic, some sprung loaded, others with lock joints and in different lengths.